The CBC’s investigative programs The Fifth Estate reports that many sociologists and criminologists are sounding the violent potential of incels. The report is available here. A must read for anyone interested in corporate influence at Canadian universities. Article available here. This site was/is created by one of our doctoral students in sociology at UVic. Some really important work and personal insights offered. Site is available here. A very cool resource about indigenous languages in Canada. See this link from UVic (here). An article by Timothy Gill on how the political and corporate elite in the U.S. are often the same thing. Article is here. A great resource that lists various country’s treatment of sexual orientations and gender identities. The report is available here.  An article in The Star (available here) quotes a number of Canadian sociologists who discuss recent findings that show the positive impact immigrants have on education levels.